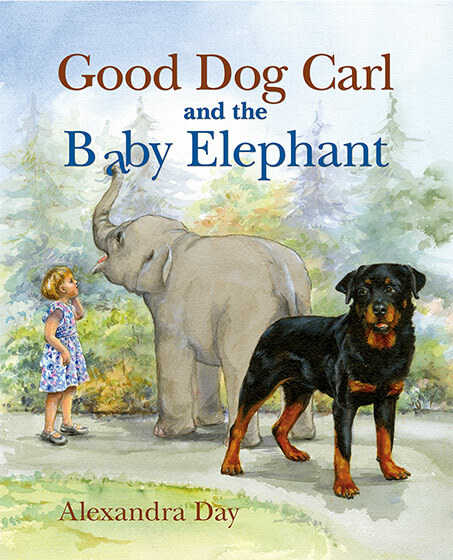 Carl, everyone's favorite babysitting Rottweiler, is back in a new adventure. 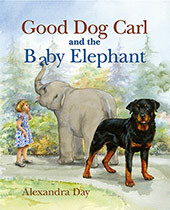 Carl, everyone's favorite babysitting Rottweiler, is back in a new adventure. This time a baby elephant follows him and Madeleine when they decide to leave the Children's Zoo to get ice cream. Baby elephants, it turns out, like water, and fruit and don't know their own size.